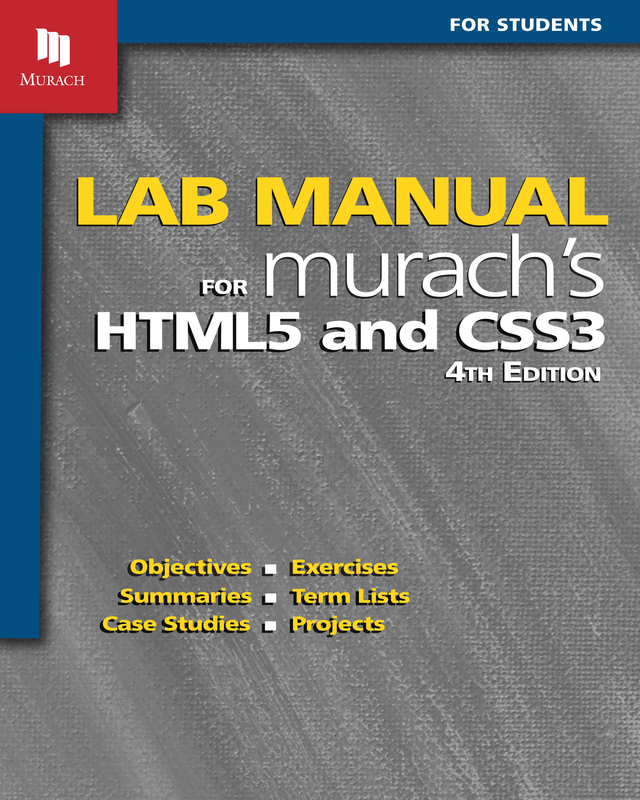 If you’re using Murach’s HTML5 and CSS3 (4th Edition) in a course and your instructor has included the Lab Manual as a required component, this is what you’re looking for. You can purchase it here as a separate component in Print or eBook format. You can also purchase it in eBook format as part of a VitalSource eBook+eManual bundle. You may purchase this Lab Manual as a companion to our HTML/CSS book. But NO SOLUTIONS will be provided. Go to our instructor's site to learn more about this lab manual and its instructor's materials. This download includes the starting files you need for the Halloween and ShapeUp! case studies in the Lab Manual. If you’re a student, your instructor may provide these files to you or give you instructions on unzipping them into a specific folder on your system.